Noelle Turtur is a doctoral student in Modern European history with a focus on Italy, the Mediterranean, and the Italian Empire. She is interested in social and political history, the history of the family, and settler colonialism. Currently, her research focuses on the Italian Empire in East Africa, examining Italian settler communities and fascist development discourse as well as Italian decolonization and the postwar contestation over the Horn of Africa. Her dissertation will focus on the repatriations of Italian colonists, mostly women and children, from Ethiopia in the midst of the Second World War. A native of Peekskill, New York, Noelle graduated from the University of Chicago with honors in 2014. As an undergraduate, Noelle spent a year as an exchange student at the University of Bologna. Prior to attending Columbia, she worked at The Bronx Defenders in the criminal defense practice. 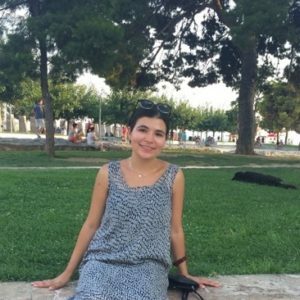 At Columbia, Noelle is the co-organizer of the European History and Politics Workshop as well as a Teaching Observation Fellow at the Center for Teaching and Learning. In the past, she has been the recipient of a DAAD Intensive Language Course Grant and the Kathleen M. Gash Fellowship.